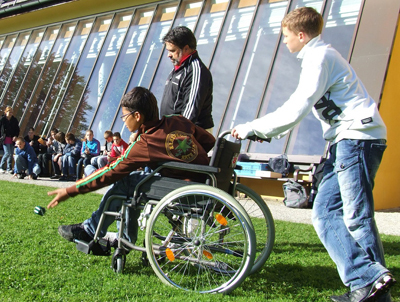 Standard wheelchairs are chairs that are designed to function for the majority of adult users. Our EZee Life™ manual wheelchairs are available as lightweight aluminum framed wheelchairs that are the easiest to push or the heavier duty steel framed models in sizes to fit large adults. Regardless of which model you choose, you'll find that our EZee Life™ Wheelchairs provide a large number of features as standard equipment that many more expensive wheelchairs cost extra to have.